Despite the advancements made in medicine and treatment of tuberculosis over the last century, it remains a significant healthcare challenge. It remains the leading cause of death from a single infectious agent and the ninth leading cause of death worldwide. 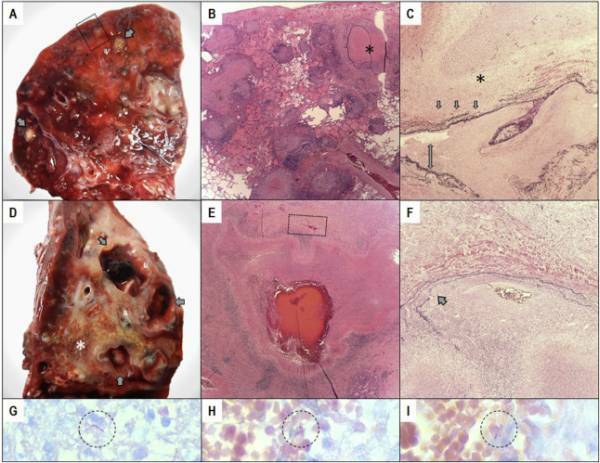 A 23-year-old male with a history of tuberculosis treated in Nepal seven years prior, presented to the emergency department with one week of hemoptysis, fever, chills, night sweats and weight loss. 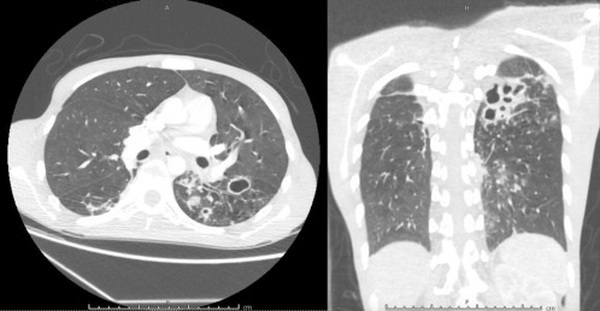 A CT scan of the chest showed multiple cavitary lesions at the superior segment of the left lower lobe. He had persistent massive hemoptysis and required blood transfusions. He underwent bronchial artery embolization followed by lobectomy. He was ultimately diagnosed with fluoroquinolone-resistant tuberculosis, and required a prolonged intensive care unit with transfer to a regional tuberculosis center to successfully complete treatment.